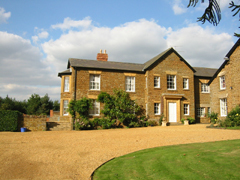 Bed and Breakfasts near Northampton Town Sixfields Stadium for 1 night from Thu Apr 25, 2019 to Fri Apr 26, 2019 within 25 miles, in an Average Nightly price range of £1 to £200. Kendal House is an 18th century coaching inn now converted into a large family home. The house is set in the centre of the picturesque village of Blakesley which is approximately 5 miles away from Silverstone racetrack. It is also 5 minutes drive to Towcester racecourse. Blakesley is set in the beautiful Northamptonshire countryside so perfectly placed for quiet walks or cycle rides.